Bitter people believe life’s dealt them a bad hand. They resent their problems and experience inner turmoil. They compare their lives constantly and believe others have it so much better. Proud people want everyone to know how successful they are. They turn their – or their family’s – achievements into a daily news bulletin on social media – or they just remain quietly smug when they witness the struggles of others. In his book Mere Christianity, C.S. Lewis claims that pride prevents us from drawing close to God. Whether we’re struggling with bitterness, pride – or both – our focus is largely on other people. We either think we’re worse off, or better, than others. It’s only when we focus on our lives in relation to God and his plan and purpose, that we discover true meaning and joy in life. I love the imagery in Lewis’s quote. We can choose to look down, or look up. When we look up, we realize all we have – whether it’s money or a great family or an amazing friendship group – is from His hand. He is the great gift-giver. Yes, he’s given us talents, and the ability to make money and connect with people. But ultimately we are his creations – his masterpieces – and all good things are from his hand. Looking up also helps us to deal with the bitterness. Looking into the face of Jesus, who died for us and offers hope and an eternity with him, is a good start when we’re mourning the losses. I’ve been bitter, and I’ve been proud – often many times in the space of a day. But when I look upwards I can see my life for what it really is – a beautiful gift given by God. And I don’t want to waste it playing the comparison game. Thanks Caddo – and you too!! 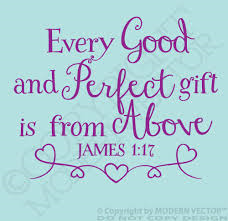 I love the book of James. Thanks!! 🙂 thanks for dropping by! I’ve been thinking about this issue for a few days. I’m been wondering if that bitterness is discontentment with God and his provisions to us. A person can resent being dealt a bad hand (in their thinking) while a person in a similar situation can look at the hand, not comparing their blessings with those of others and count the blessings they have. Could that bitterness also be described as discontentment? I think you describe two different kinds of people/responses to struggle very well. We all do it tough in different ways but it’s a matter of perspective. I think you are right – ultimately bitterness is discontentment in God, because we are angry with him for the hand dealt, rather than being content in him, knowing he has sent all things for a purpose. I remember being quite proud of my house, where I lived, and my husband’s income. When I left my husband, I had to move to an apartment that was a huge step down for me, in a neighborhood that I wouldn’t have lingered in, and people I wouldn’t have hung around with. So much for all my pride. Happy ending, though: I’m not bitter about it, I learned a lot, grew strong, and later accepted Christ. When I witness people in my former income level perceiving me as inferior, I just get a chuckle out of it. Like you pointed out, ultimately, all we have comes from the Father. Praise God, I have been so blessed. Knowing Christ is the ultimate blessing, far outstripping any amount of income, any big house, any pile of material ‘stuff’. All the possessions in the world are nothing next to Christ. Beautifully said, and a wonderful testimony to the grace of God, who replaced potential bitterness with his love, and a heavenly perspective on what you own and who you are. Thank you for sharing, dear friend. This is something to meditate on…. Thanks Rolain. Yes, worth considering. So often we give credit to ourselves for all we have and do, rather than our Creator. Amen! At one point I wanted to get a tattoo on the inside of my finger that said “look up” just as a little reminder. Happy New year to you. That sounds awesome. We do need reminding don’t we. You too, and thanks for dropping by! You too Patti! May it be a wonderful year. Thank you so much Ali, I’ve shared this on Facebook and praying that those who need more God will read it and learn. As for me I have been there many times, and most of the time I do look up. Thanks again for the reminder and have a God blessed New Year! Thanks for reading it, and sharing it. I find it easy to get side-tracked, but I’m so thankful when God reminds me who he is and what he’s done. Great post! I’ve also been bitter and proud – God is the middle ground between the two and this a great reminder to not lose sight of that. Thanks Janna -yes, he evens everything out doesn’t he? Whewww, bitterness and pride! What nasty weeds and they are so hard to get rid of! Prayers for us both that we won’t have many weeds ;). Lol speaking of pride….nah seriously, I want to thank you for being the 3rd highest commenter on my blog in 2013. Thank you for making me feel loved! God bless sis! Awesome, I’m glad you feel loved. I love your blog! Keep it up Amber – you are a blessing and inspiration! Thank you for taking on two of the things that can trip us up, bitterness and pride! And the solution should we find ourselves tangled up in them . .. to look up and away from ourselves and others. 🙂 God bless you and yours, Ali! Thank you Debbie – yes! May we keep our eyes fixed as best we can on Him. It’s so easy to get caught up with either how good we are or how bad we have it… Be blessed today, and thanks so much for dropping by! Thank you! I wish I could too! !